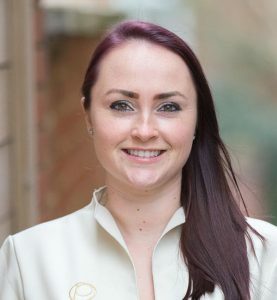 Vikki achieved her National Dental Nursing Diploma in 2014 and since then has been working in specialist private practices in the SE. Vikki joined Portmore in 2017 as Decontamination Lead, a hugely important & challenging role to which Vikki is very suited as she has meticulous attention to detail in relation to cross-infection and cross-contamination control. Her natural organisation skills mean that our decontamination processes are well managed and are performed to gold standard. Vikki has a huge thirst for knowledge and will be undertaking an intense training and development plan at Portmore in order to challenge herself and develop her career. Outside of work, when Vikki is not busy renovating old houses with her partner she loves playing squash, watching films and spending time with friends and family.